Romania is one of the most popular European destinations for dental treatments abroad and tourists from west European countries like Germany or Belgium often choose to schedule their dental treatments in Romania. 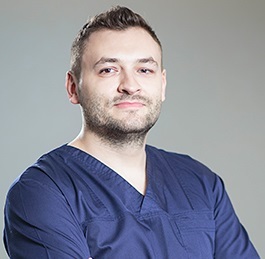 Our dentists in Bucharest are experienced in working with foreign patients and provide the best standard of care, regardless of the type of procedure and always observing the patient’s needs and wishes. Romania is an affordable option for dental treatments abroad. The prices for the most commonly requested dental procedures, like dental implants and teeth whitening are much more affordable here than in other European countries. Dental patients from Austria will also be pleased with the professionalism and dedication of our Romanian dentists. 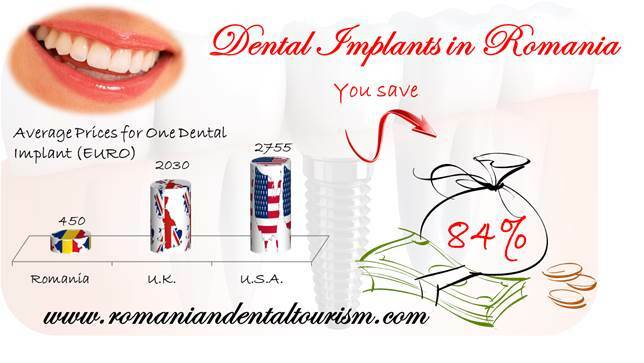 In Romania, the price for dental implants starts at 450 euros while in Austria the same procedure costs between 2.000 and 3.400 euros for an anterior single tooth implant. 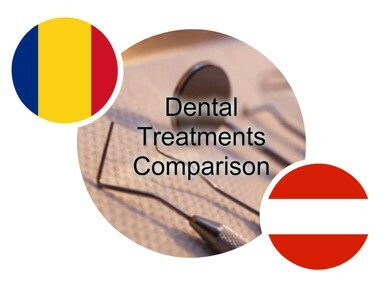 Teeth whitening is also more expensive in Austria, between 300 and 1000 euros, depending on the type of technology used for bleaching the teeth. If you are unsure about traveling abroad for dental treatments, our dentists in Romania can give you complete advice about how to plan your dental vacation so that your trip to Romania for dental treatments can be as enjoyable as possible. Romania is also more affordable in terms of accommodation and travel. A night at a central hotel in Bucharest will be more affordable than a night spent at a hotel in Austria. The same applies to transportation around the city and food and drink. Our dental offices are located in central areas around Bucharest and you will also have the time to visit some of the top touristic destinations in Bucharest. If you are planning to spend more days in Romania, we will be happy to let you know what are some of the most beautiful places in Romania and why your should visit them. You can contact our dentists in Bucharest for more information about traveling to Romania and a complete and detailed offer of our prices.